When the Astros won the World Series this year, it was an emotional event for thousands. Not having played in the championship game since 2005, and losing badly, taking home their first World Series win brought up a lot of feelings for everyone. 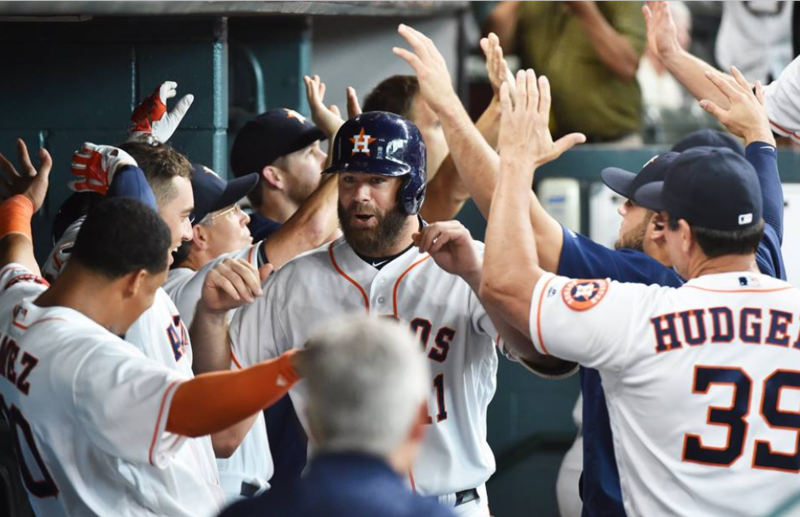 Even so, no one felt quite as grateful as Astros catcher and former transient, Evan Gattis. Life has its ups and downs for everyone, but some have a bumpier ride than most. Evan is one of these people. Unlike many major league players, Evan hasn’t been in the game since high-school. Not that he wasn’t offered the chance. Both Texas A&M and Rice University offered him a scholarship right out of high school. After all, the lightning fast catcher showed a lot of promise. Unfortunately though, Evan had a fear of failure so severe it caused him to turn the offers down. The same fears holding him back from pursuing a career in baseball also caused Gattis to seek comfort in drugs and alcohol. So when the time came to decide where to go in life, he chose to check himself into rehab. Not the most conventional choice of a scouted athlete! We’ve only begun to uncover this Astros catcher’s story, so prepare to be inspired! Continue to the next page to see the video highlighting his amazing journey to success, and don’t forget to leave us a comment below.